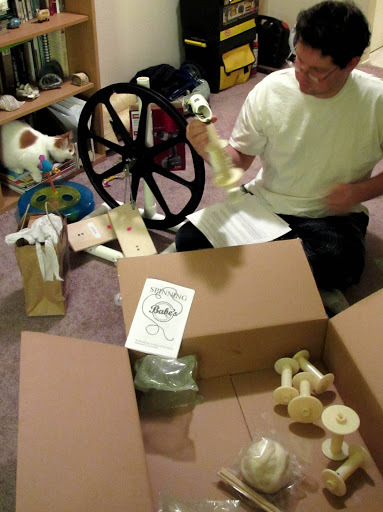 The Fiasco masterfully putting together my new Babe spinning wheel. 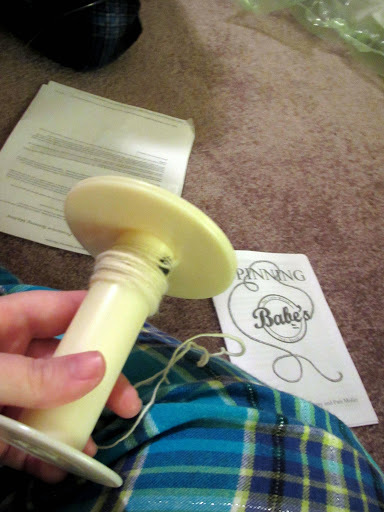 One bobbin even came loaded with pre-spun leader yarn! We had it up and spinning in no time. 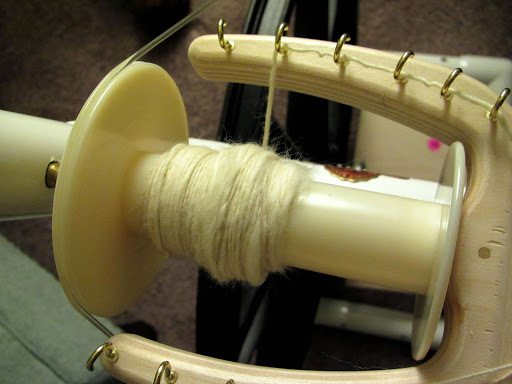 The spinning involved some failed attempts and false starts, of course, but wasn’t too bad. 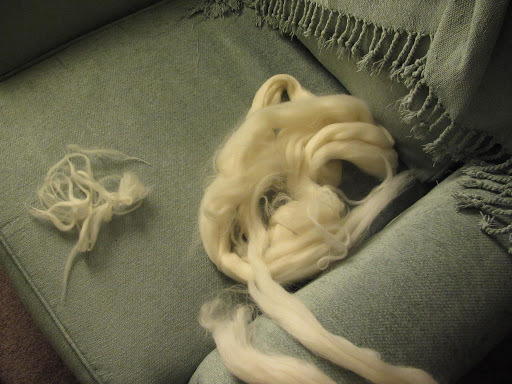 I also learned to properly card some nice, fluffy rolags. 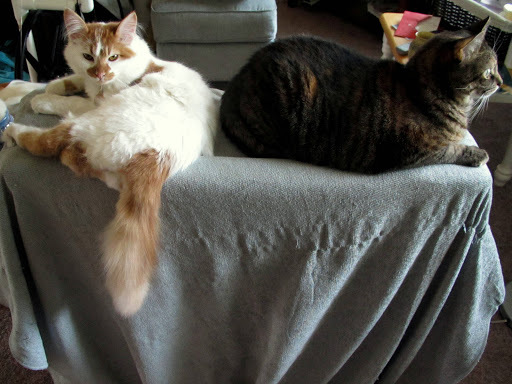 The kitties were pretty impressed (maybe not). 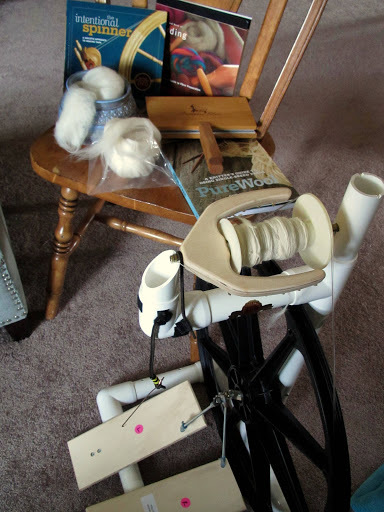 My generous and wonderful parents gave me a Babe Production Double Treadle spinning wheel for Christmas and I love it already! It’s not much too look at but there are plenty of good reasons to love it, and for a first wheel I think it can’t be beat for simplicity and ease of use. 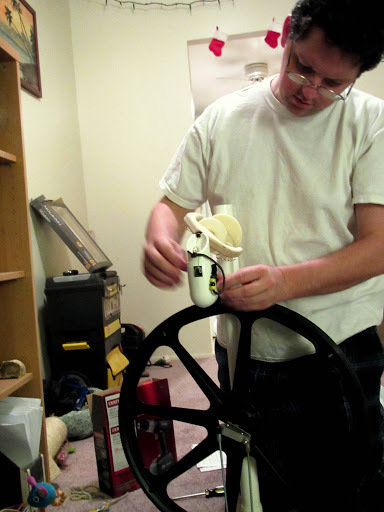 I’m not very mechanically inclined and am weirdly intimidated by moving parts so a wheel made of a simple wheelchair rim and PVC pipe is a less scary way for me to ease into ‘machine’ spinning. And since various family members have gifted me so much roving and top that my fiber stash doubled in a single day, I’m sure I’ll get plenty familiar with the wheel as I try to spin my way through it all (more about the fiber to come). I hope you all had a wonderful holiday! I’m going to go back to hibernating now, with my Fiasco, a movie, and my wheel spinning away. This entry was posted in holiday, spinning by shoelaceswitcher. Bookmark the permalink. Getting a wheel is so exciting! I expect to see lots of handspun soon. the only problem with spinning yarn is that as you destash fiber, you add to your yarn stash. A wheel is always super exciting! It looks like you had an amazing Christmas. I can't wait to see all of the amazing yarns you spin! Oh, and isn't carding so much fun? 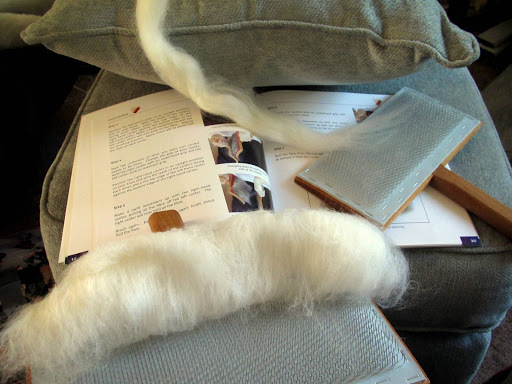 Sometimes I think that even if I didn't spin, I'd still make rolags: it's such a relaxing, peaceful process.